Welcome to my 50th Friday Finds! This is a series I started a while back where I write casually about what I’m enjoying lately. It can include pretty much anything from food to DIY to beauty/skincare, my second passion! This is my favorite toothpaste. I typically brush my teeth after each meal, so I’ve gone through a good amount of toothpaste in my day! I’ve tried various brands, including Dr. Bronner’s, Earthpaste, various charcoal toothpastes (none of which I like, by the way), Tom’s, Jason’s, and Auromere, which is my second favorite. I’ve found the ingredients in Xyliwhite to be fairly clean, the formula foams up well, and I feel like it helps with my teeth sensitivity. My favorite flavor is the Refreshmint, though I recently tried the Cinnafresh and enjoyed that one too! One of my favorite low sugar baking tricks is to use a mixture of sweetened and unsweetened chocolates when making cookies or the like. Most chocolate can be expensive, especially these days, but I’ve found Trader Joe’s to be very well priced. 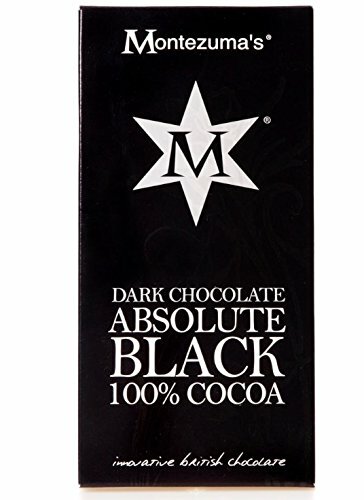 I like their 73% dark chocolate bar, as well as this sugar-free one. The link is to Amazon just to show you what the bar looks like, but if you have a Trader Joe’s near you, I recommend buying it directly from them, as it’s cheaper! I’m a bit obsessive about my teeth and their care. The compulsion came about as a result of having to get a partial crown a few years back, which not only cost an arm and a leg, but was quite painful. From this point on in my life, I’m determined to keep my teeth healthy…as much as I’m able. In my research, I stumbled across Steven Lin’s book, The Dental Diet. Lin is a dentist himself, but he’s also delved into the nutrition side of teeth, and his book is a great read! He discusses the biology behind the mouth, as well as various studies of groups of people living in different parts of the globe and what their diet is like. While I don’t agree with everything he says, it’s an informative book that’s worth a look if you’re interested in keeping your teeth healthy! All you do is mix a good spoonful of baking soda with enough water to make a paste. Leave it on for 15-30 minutes, then gently remove by using warm water and a washcloth. This one creates a little redness, at least with my skin, so it’s one I’d recommend doing it at night. My husband and I have been loving the documentaries on Netflix, particularly those dealing with food. We just found The Paleo Way this week, and while I haven’t made it all the way through, I had to mention it here because it’s that good! I’m not personally grain-free, but I do see the benefit of limiting certain higher carb foods, as they directly affect blood sugar. The series includes interviews with popular bloggers and teachers, including Terry Wahls and Danielle Walker. It also features a great interview with the author of The Gut and Psychology Syndrome, Natasha Campbell-McBride. I most enjoy that it includes a segment on recipe/food preparation inside the kitchens of said interviewees. What’s new with you lately?